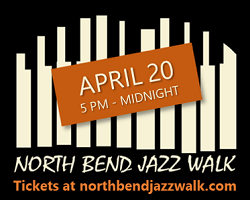 There’s some musical fun happening at The Black Dog Arts Cafe in festive downtown Snoqualmie this weekend. 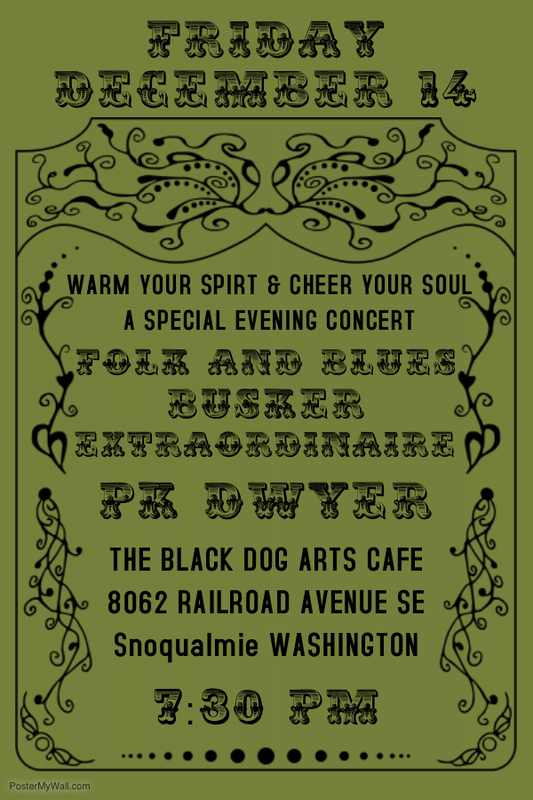 Get Jolly and Make Merry with Folk & Blues Busker Extraordinaire PK Dwyer at The Black Dog Arts Cafe on Friday, December 14th. PK Dwyer – a popular Folk and Blues street music performer at the Pike Place Market – will present a special 2-hour concert of original works from his song catalogue featuring his signature high energy, finger picking and slide work on guitar and fireball harmonica riffs along with a selection of beautiful and dynamic songs on autoharp. PK invites you to “come on by to warm your spirit and cheer your soul” with his upbeat tunes. Dinner and dessert are available from The Black Dog Menu during the show. Music starts at 7:30 pm. 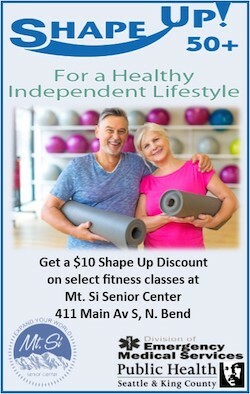 The Black Dog Arts Cafe is located at 8062 Railroad Avenue SE in downtown Snoqualmie.